Beautiful mahogany woodwork, well adjusted with many solid parts. 6 big cleats in stainless steel including 2 at the midship. BAVARIA sailboat for sale in France. 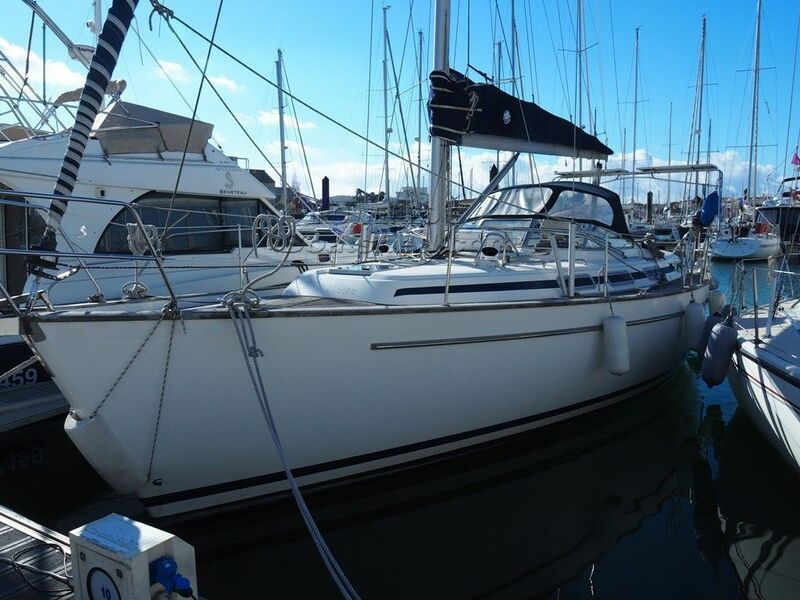 Boatshed Vendée is happy to offer this well maintained cruiser, a BAVARIA 38 Ocean, built in 1997 and well equipped to cruise long distance. A real live aboard with its central heating system and good equipped galley. Confortable for a family or a couple with guest. The master cabin is spacious and is offering a central berth. For more information or organise a visit, contact your local broker, Muriel Guyon, at Boatshed Vendee. This Bavaria 38 Ocean CC has been personally photographed and viewed by Fabrice GUYON of Boatshed Vendee. Click here for contact details.